Opened in March 2007, H.J. 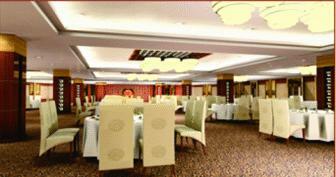 Grand Hotel (HuaJu Jun Yue Hotel) is the first 5-star class fancy hotel in Huadu district. The main building has 12 floors, with the whole area of more than 80,000m2. Located in the crossing road of Yingbin Road and Qinglian Road in Huadu of Guangzhou, and it is very convenient for you to reach it. It is the ideal choice for business. The hotel abuts the new Airport of Guangzhou. It is perfectly located on the commercial and financial, developing district of the golden area. The fully-equipped hotel provides the comprehensive services including loaging, catering, entertainment and business functions. It will only take about 5 minutes to the new airport and a few minutes away from Guangzhou railway and subway line No.9. 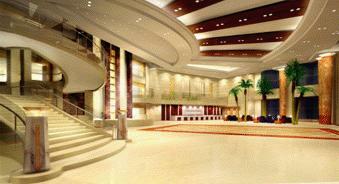 It provides more than 500 modern and luxury rooms in total. Karaoke hall is located on the 2nd and 3rd floor of hotel, with it is first stereo music system. It also provides outdoor/indoor swimming pool, fitness center, spa and sauna. After the whole day work and long air trip, it will be your perfect place for relaxation. 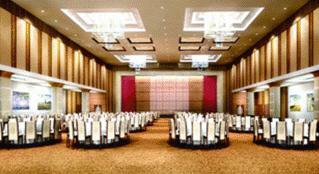 In addition, hotel possesses multi-functional conference hall. Shopping center, Business center, Chinese and Western-style restaurants and etc. The tailor made service will bring warn feeling to you, even you just stop by. Free shuttle bus to the Guangzhou airport. 30 kms to the city center of guangzhou. 40 minutes to the Pazhou Exhibition Center of the Canton Fair. Free shuttle bus to the Pazhou Exhibition Center of the Canton Fair.